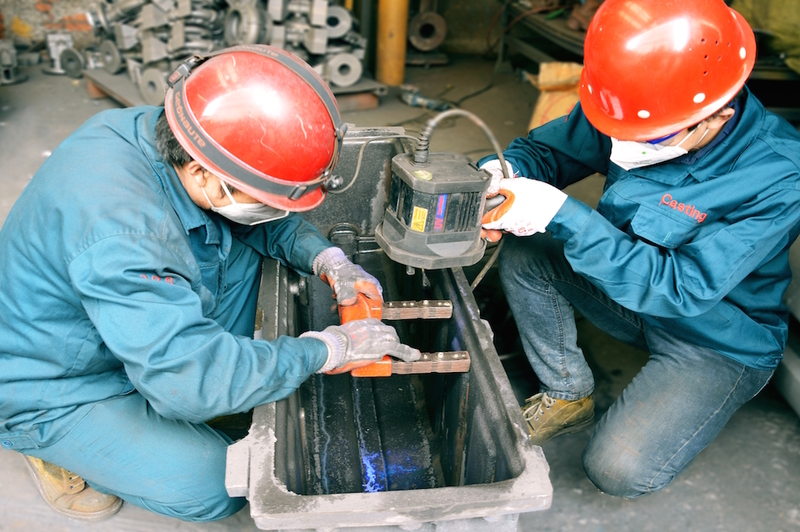 There are many factors that go into the creation of high quality, consistent castings. 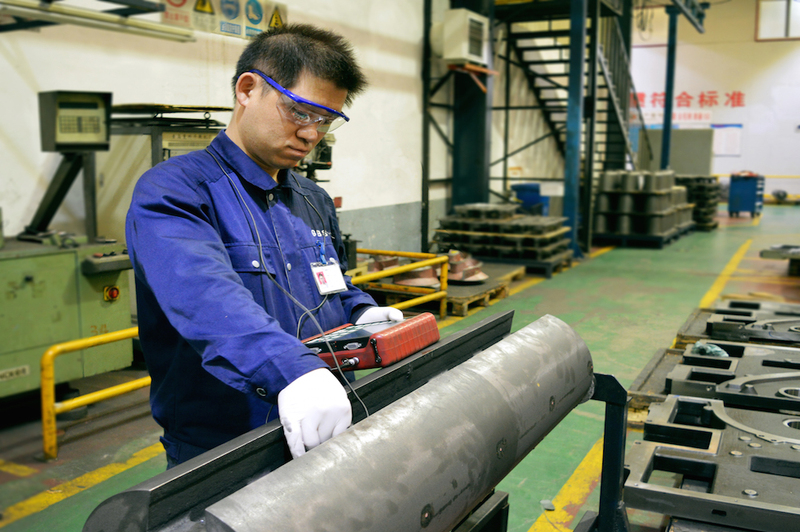 From sand control, metal control, in-process machining inspection, gauge calibration, cutting tool controls, and painting/packaging controls we establish rigid processes and documentation in every step of production. Control of chemistry is important during the mixing of foundry sand, melting of the iron, and after the iron is poured and has cooled. GBS uses the latest technology in the control of all of these steps of the process. This test is done at the melting furnace and quickly analyzes the two most important chemicals in cast and ductile iron; carbon and silicon. This test is done on-the-fly and is intended to ensure good chemistry before the metal is poured. This test gives the precise chemistry percentage for the necessary chemicals making up the iron. 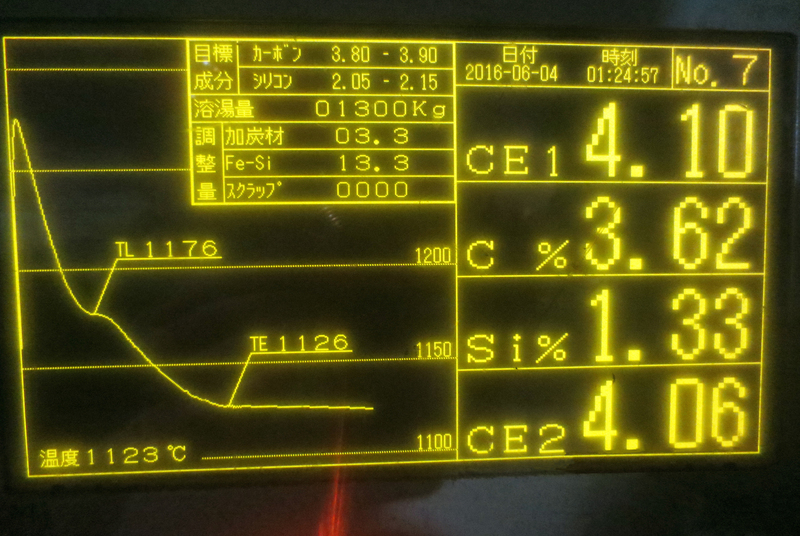 It measures the emission spectrum as the light is focused on the sample. This test is performed on a sample piece that was poured at the same time as the desire castings and has cooled. This entails the study of the casting’s microstructure. The process includes the sectioning, mounting, and polishing of the material for analysis. 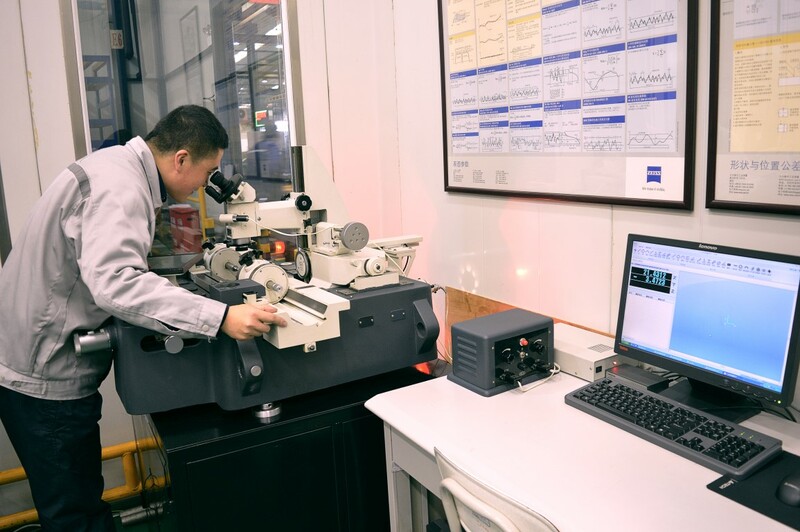 Like the Spectrometer Analysis, this test is performed on a sample piece that was poured at the same time as the desire castings and has cooled. 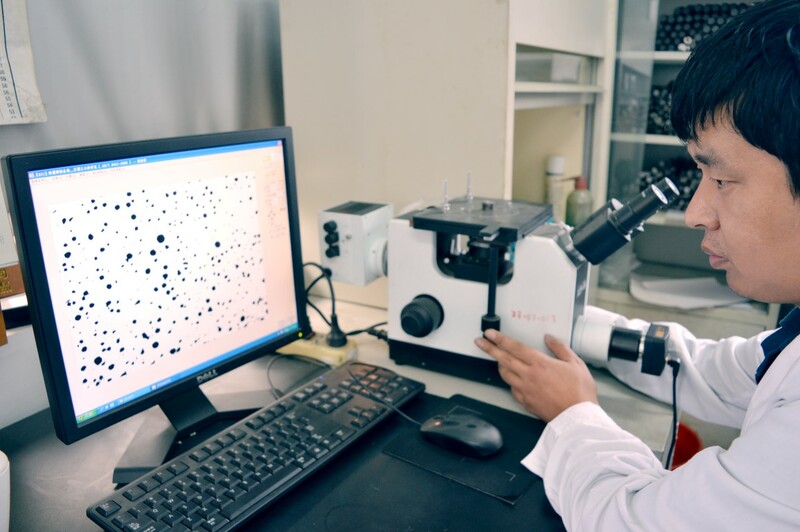 This analysis allows for the simultaneous carbon and sulfur content in the cast or ductile iron sample to be sure that both are within the allowable range for the desired cast or ductile iron chemistry. Our engineers use the latest technology in physical controls for our materials and sand in both destructive and non-destructive tests. Here are some of the physical controls that we use. This destructive test is performed on a dimensionally-critical test piece that we poured at the same time as the desired casting lot. The test piece is pulled to the point of failure and we document the tensile force at failure to be sure it is within acceptable limits. 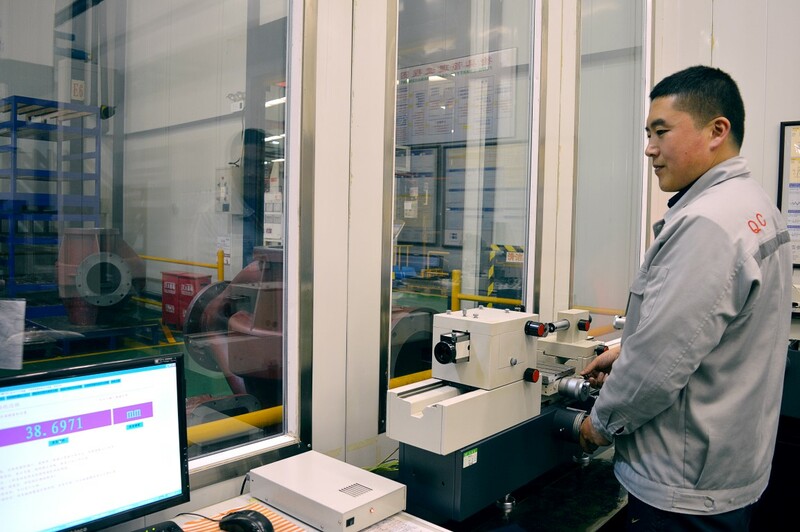 GBS keeps all of these samples and the related documentation for a period of 10 years and is able to trace customer castings to a specific tensile strength sample if desired. 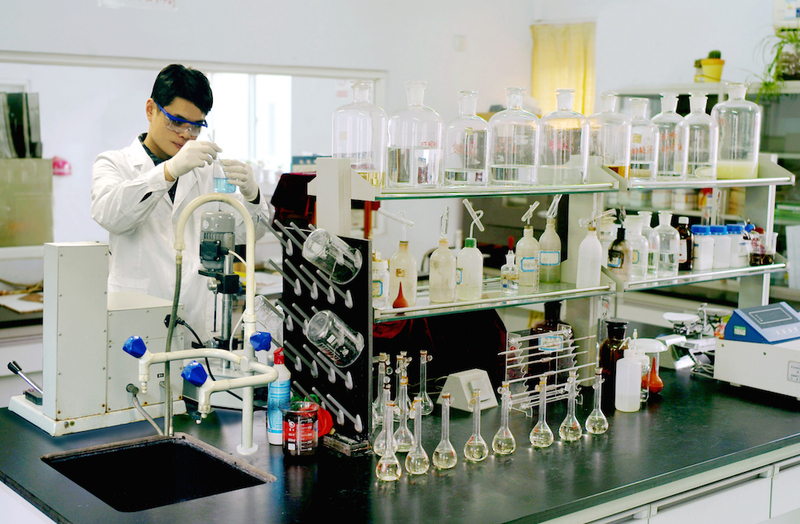 This test is performed on a sample that has been poured at the same time at the desired lot or can be performed on the customer casting, if desired and if the part is able to fit into the device. 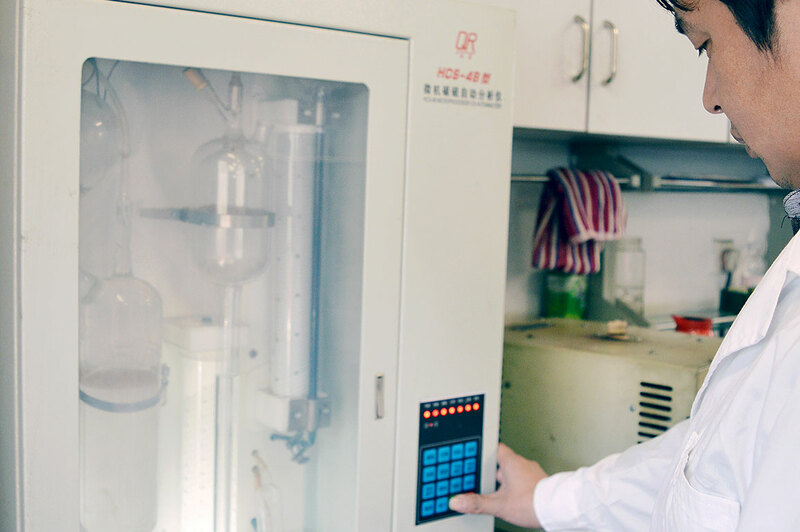 It measures the hardness of the material to determine if it is within the acceptable range for a given chemistry. These samples and documentation are kept for a period of 10 years and are able to be traced to customer casting lots if desired. Control of chemistry is important during the mixing of foundry sand, melting of the iron, and after the iron is poured and has cooled. GBS uses the latest technology in the control of all of these steps of the process. Please see Chemistry Control for more information. Integrity of the sand is integral to the quality of the finish and dimensional stability of our customers’ castings. The sand for our molds must hold up to the pouring process and then be able to easily break down in the shaking process after the castings have cooled. 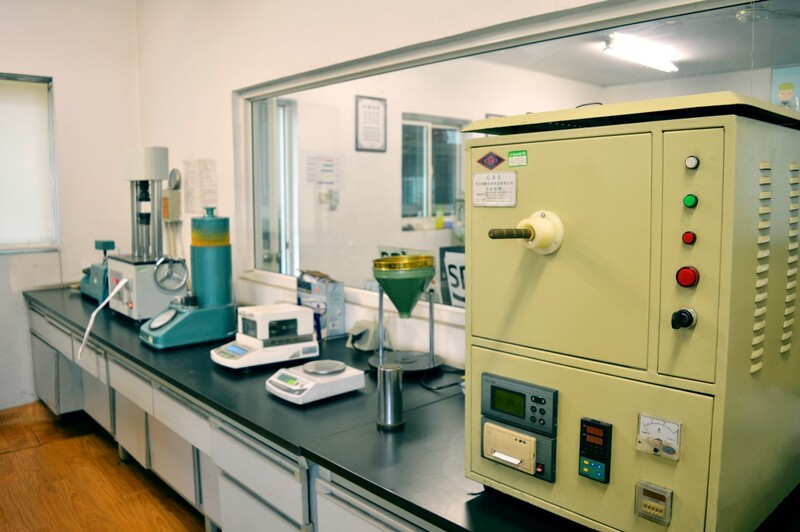 We use the latest technology to be sure that our sand contains the correct ratio of chemicals and “breaks” at the correct pressure that we desire for the process. 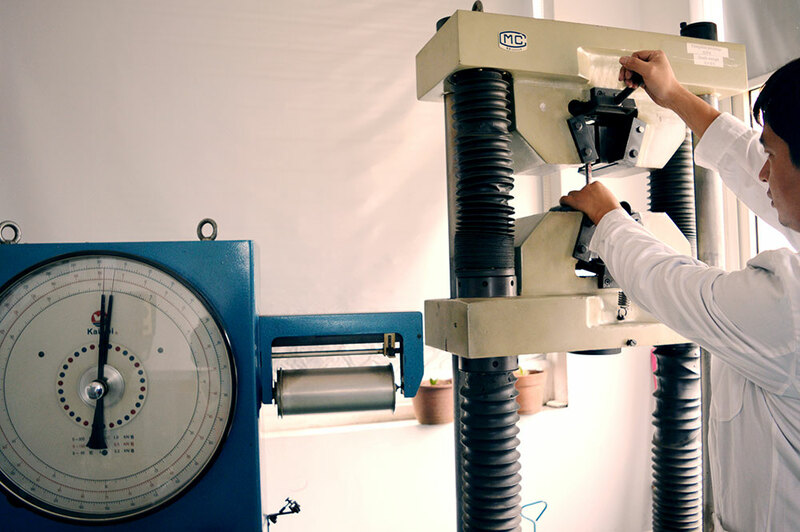 We use this testing to ensure the integrity of our castings. We do everything we can when we design our processes to prevent these but, in the course of the casting process, a variety of internal discontinuities can occur in the metal. These include voids, porosity, inclusions, and cracks. We can identify all of these conditions because they produce ultrasonic indications that can be identified using an ultrasonic flaw detector. 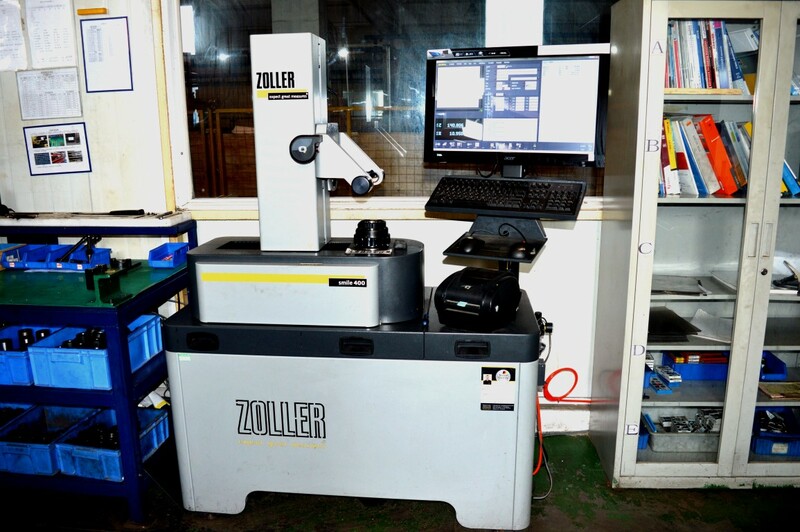 We use this test to identify surface and slightly subsurface discontinuities in our iron products. As with other tests, at GBS we design our processes to prevent against these conditions. 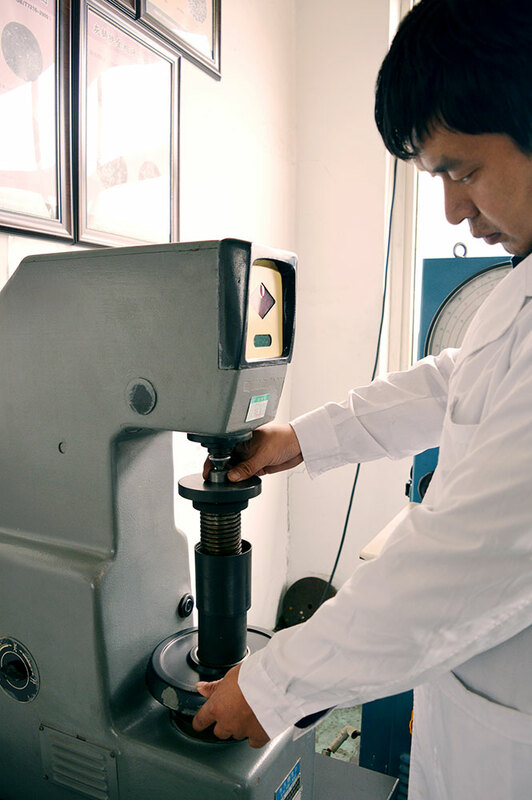 We employ this type of testing especially on castings that are designed to hold pressure. It is a non-destructive method to determine if there are potential leak paths in pressure-bound castings. 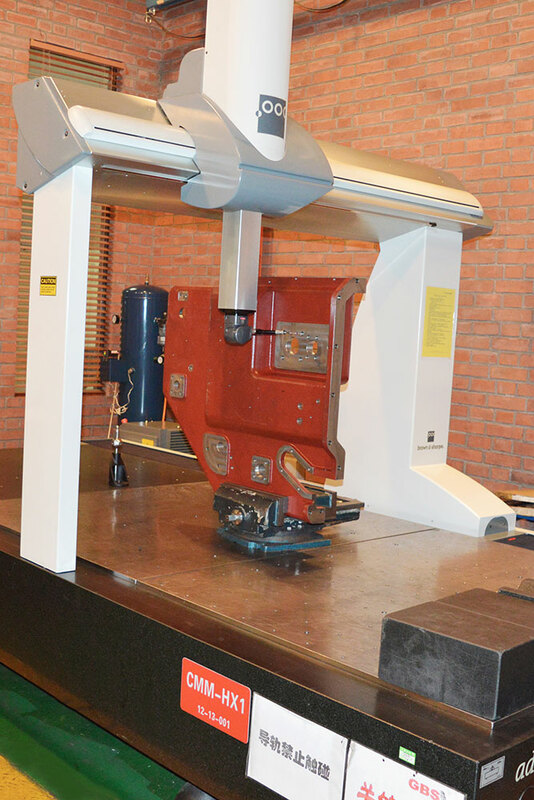 Among our inspection capability is our arsenal of CMM (Coordinate Measurement Machines). 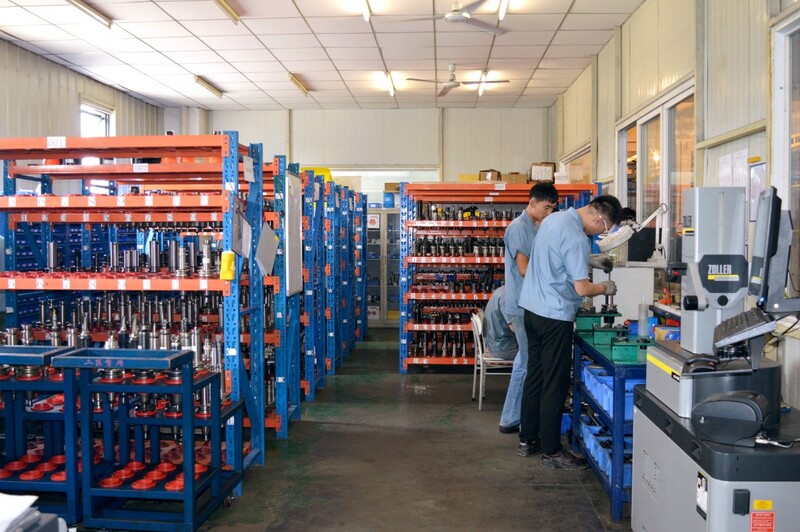 Under the direction of our highly trained quality staff, these machines, including fully programmable functionality, permit the inspection and dimensional documentation of our customer’s parts as well as our patterns and fixtures that are used in our manufacturing processes. We also have a large selection of standard and specialty gauges that are precisely controlled, stored, distributed, and calibrated via our gauge calibration system. Our in-house engineering and quality team designs and manufactures our own specialty gauges. 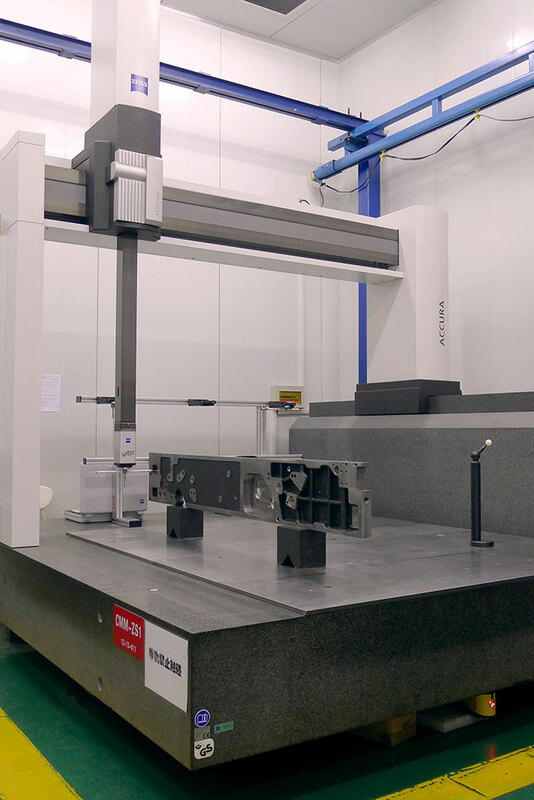 We catalog and store hundreds of preset tools for use in our CNC machining centers so that they are readily available to work when customer orders arrive. 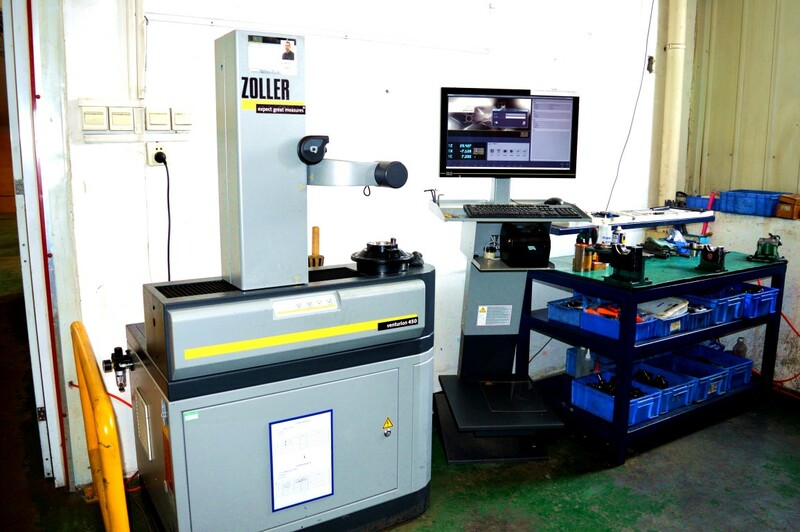 These tools are precisely set using our two Zoller tool pre-setters. 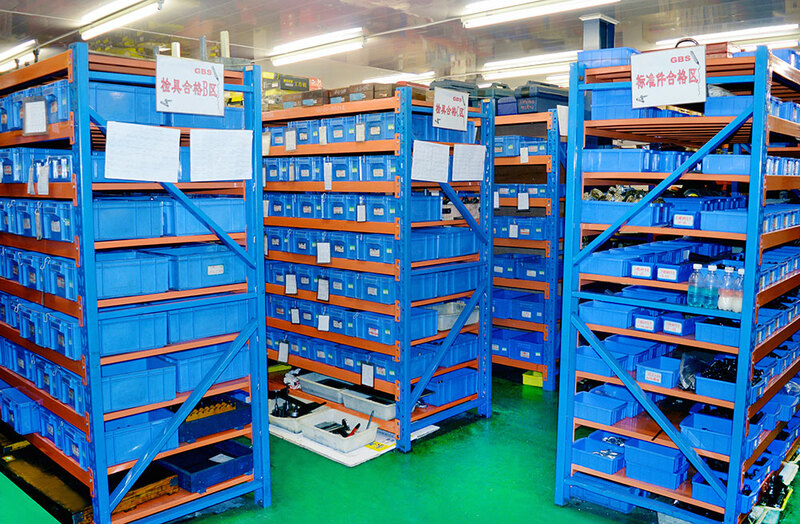 This allows the efficient, ongoing and repeatable production of customer parts.